SINBRAN® filter modules are a combination of porous, sintered polyethylene and an ePTFE membrane. They combine the advantages of the membrane technology with those of the rigid body filtration. SINBRAN® filter modules demonstrate excellent filtration results even in difficult applications. During the filtration of non-agglomerating substances SINBRAN® filter modules offer the highest degree of separation. Even below the dew point they keep the ability to stay clean. The large mechanical stability of the material offers a long service life. The design of the flange ensures that the filter modules are compatible with existing filter systems. The robust rigid body construction offers a large filtration surface in a small space. The principle of surface filtration and the uniformity of the ePTFE membrane result in a low pressure drop and a high filtration performance as the dust is fully separated by the membrane surface. 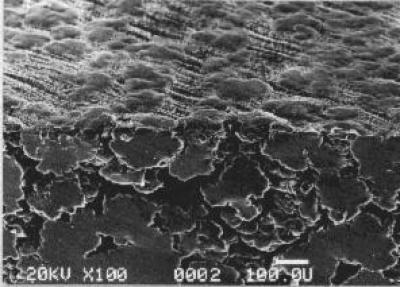 Dust cannot enter the sintered material through the membrane surface. A short impulse of compressed air from the inside cleans the filter module and any residual dust will be collected in the filter housing. SINBRAN® filter modules combine the advantages of membrane filtration technology with those of the rigid body filtration. Almost no loss of pressure with high filtration performance combining great mechanical stability and a long service life. The inside of the filter modules contain a sintered air-permeable polyethylene tube and the outside is covered with an ePTFE membrane. The special lamination process combines high air permeability with good filtration performance and greater mechanical stability of the combination of supporting tube and membrane. The laminated tubes are then assembled into the individual filter modules. The manufacturing parameter are set to combine the tubes high mechanical stability and a low resistivity for the air flow. The process parameters for the lamination are set to provide optimum permeability, separation and stability for the laminate. The design of the flange was adapted to fit already available filter units. We offer different types of gasket to suit all application areas. The filter modules are made from PE, stainless steel and a small percentage of PTFE. We do not use glue, solvents, pottings or other substances during the manufacturing process. A fan draws dusty air onto the surface of the SINBRAN® filter module. The dust is then separated by the membrane surface of the filter module and the clean air will pass through the sintered material of the rigid body to the clean gas side. The separate functions of the two filter material components ensure a clean separation and no dust will get into the sintered material. Due to this principle the sintered rigid body is free from dust and the filter material can keep its function with a low differential pressure over a long period of time. An air pressure impulse initiates the cleaning of the filter modules. An over pressure from the inside sends a vibration to the membrane and the dust flakes of the smooth surface of the membrane and falls into the dust collection facility. This separation effect is supported by reverse air stream which flows opposite to the filtration air stream. The main body and the flange of a SINBRAN® filter module are made of sintered polyethylene. The flange is reinforced with a stainless steel bar and fitted with a silicone or EPDM gasket for an airtight seal. The membrane material is made from high quality ePTFE (expanded polytetrafluorethylene). The properties of polyethylene define the application areas of our filter modules. 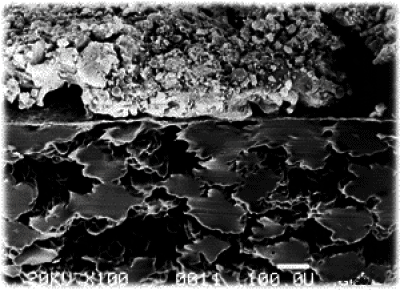 Properties of PE:Temperature resistance from −85 °C to +90 °C. For the filter elements the temperature is limited to 70°C. Good chemical resistance. For specific processes or usage please consult us at Sinbran GmbH. For potential explosive dusts we offer an antistatic version of the SINBRAN® filter module. These elements can be used without problems in zones 20, 21 and 22. For the zones 0, 1 and 2 additional measures may be neccessary. Due to the ePTFE membrane we achive an even, smooth, thin and fine pored surface on the porous sintered rigid body. The filtration process happens on the surface of a filter modules. While the rigid sinter body supports the membrane and gives the filter module its form, stability and stiffness the membrane separates the dust from the air stream and the filter cake is removed from the surface. Because of the separation of work both components can be optimised to its purpose. The combination of these two optimized components gives SINBRAN® filter modules its outstanding performance. According to the dust properties (particle size, agglomeration, chemical composition and weight) one can individually set the air to cloth ratio. The mechanical stability allows a high air-to-cloth ratio or high loss of pressure. If you have questions, Sinbran GmbH is happy to advise you. SINBRAN® filter modules can be cleaned during operation by using an installed pules jet system. No matter, if further cleaning is required, a big feature of SINBRAN® is the way the filter modules can be recovered to its former condition and offer almost the same properties as a new filter module. SINBRAN® filter modules are made from PTFE membrane,a gasket, a flange, a bottom plate and sintered tubes only. They do not contain any glue, potting, solvents or other bonding compounds. Due to the simple structure of the filter modules we are highly flexible in the design of our filter modules. In cooperation with plant manufacturers and OEMs the realisation of individual and application specific module designs can be offered to suit the end users need. Over the years standard sizes have developed as well as made to measure designs which are available for specific projects. A standard filter modules contains 8, 12 or 18 tubes and is available at a length of 950 cm, 1260 cm and 1500 cm. It is available in a white or an antistatic version for clean and raw gas side installation. They are directly compatible with an end users system or with little modification of the filter system it can be made compatible. This eases the replacement of old filter modules with new ones.